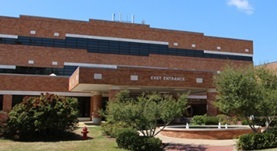 Dr. Daniel Clark is a radiologist from Little Rock, Arkansas and he works at several hospitals in the area, such as Conway Regional Medical Center and North Metro Medical Center. He got his diploma from the University of Arkansas for Medical Sciences College of Medicine and did his internship stage at the University of Arkansas for Medical Sciences. Dr. Daniel Clark did his residency in Radiology at Wake Forest University. The doctor is certified in Diagnostic Radiology and has an experience of more than 20 years.